Gather your friends and family for a day in the sun filled with fireworks, food and fun. 4th of July is the summer BBQ of the year that we all anticipate way in advance. Celebrating America, while rockin' your red, white and blue, eating, drinking, swimming and watching a display of colors light up the sky, is what it's all about. 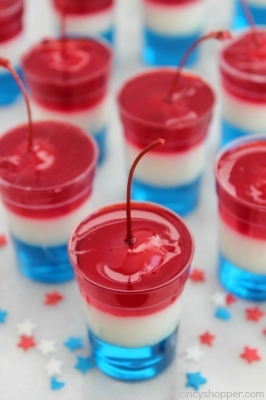 The yummy fourth july appetizers treats are an added bonus to celebrating in style. Whether you're hosting the party or just bringing your favorite gourmet appetizer or dessert, you want to make sure you're giving guests something tasty and different this year. We gathered some delicious, unique and fun options for you to try out this year at your fabulous 4th of July bash!